The much-awaited superman vs. batman film ‘Dawn Of Justice’ was released in India last week. Although the film was not liked by the critics much, it did very well on the box office with a revenue of 30 Crore in first week. One thing which Indian film fan must have observed and me too was a clear resemblance in the character of Jesse Eisenberg in the film with the character of Shahrukh Khan in Yash Chopra’s Indian film Darr. Indian superstar Shahrukh Khan plays the villain in this 1993 psychological Indian thriller film, which did really well for his career. His way of stammering while taking the name of the lead female character of the film KIRAN became a signature style of him. 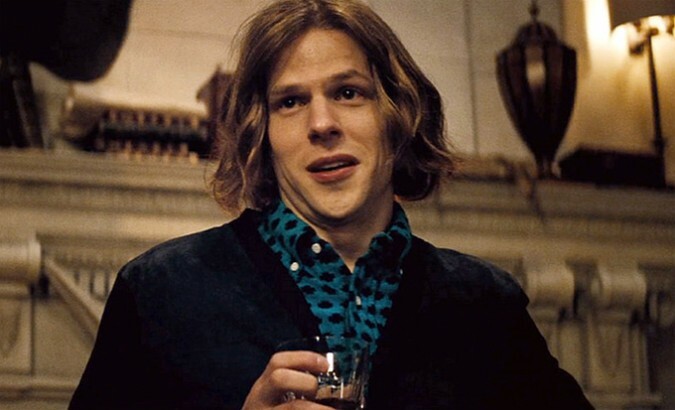 Now I don’t know whether it is just a co-incidence as I don’t think that Hollywood stars watches much of the Bollywood films, or it is well intentioned but the fact of the time is that in superman vs. batman ‘dawn of justice’ not once but several times Jesse Eisenberg uses the same style of stammering while speaking the dialogues. Even another filmmaker and director Bejoy Nambiyar thinks the same way and mentioned it on social media and in some of his interviews that there was a clear inspiration taken in this Hollywood blockbuster from Shahrukh Khan’s character. Now at a time when Indian films are severely criticized for lifting content from Hollywood films so often, this news is really a kind of relief for them as now they can say that lifting is a global phenomenon and Indian film industry is not the only culprit to do so. You have got to be kidding son. That’s the way he speaks you moron. He’s got anxiety, he talkes fast, stammers a lot and giggles in between sentences. This is terrible journalism. And if ya’ll know anything about Jesse, he’s much too talented to ‘copy’ anybody. You boy go and watch shahrukh khan movie. Jesse copied shahrukh khan style. Its the truth just admire it. And shahrukh khan is one of the most famous actor all over the globe and second richest actor in the world. His level is much higher than this Jesse. .am not criticising anyone but it’s the truth. He literally doesn’t watch movies. The same method of acting was picked up by christian stales in Heathers, Ezra Miller in Kevin and countless others. Jesse just did it terribly.It was a discomfort to see much like the movie. Lets admit it sucked. But if you know anything about contemporary cinema, you’d not say sharh rukh khan is the only person in the history to put on that act. I’m not saying he is not talented or unintelligent. But not even a halfwit would conpare these two. It’s like comparing Vampire Weekend and One Direction. And jesse is a humorist and a playwright. Starring in an abysmal commercial movie is not the greatest achivement for him. He is not some star who strives to earn as much as he can. So no there is no level. There is no comparison. And he did not copy shah rukh khan. It’s not HIS method.